This executive waterfront vacation rental is fully self-contained with spectacular waterfront views and only steps away from a private beach. 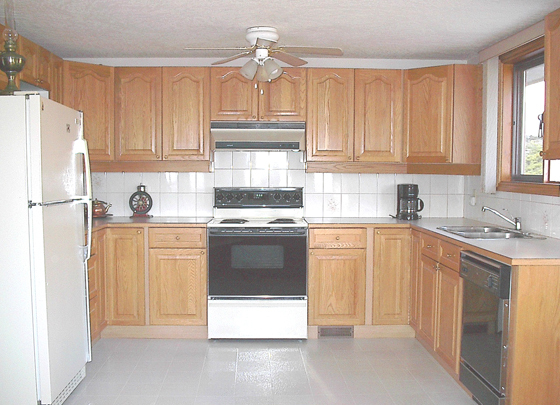 Culinary enthusiasts will be thrilled to discover a spotless kitchen complete with all the amenities from home - a dishwasher, microwave, fridge, and stove. Experience a relaxed holiday preparing your own meals with everything you need at your fingertips. Fully stocked with frying pans, cooking pots, utensils, glasses, toaster, toaster oven, blender, coffee maker, tea towels, dish soap, etc. Treated water comes from a community water system, plus there is a water softener installed to pamper your skin and provide softer linens, towels, and laundry. The convenience of having your own washer and dryer plus all the bedroom linens you require. All the necessities are here! Just bring your steaks for the BBQ! 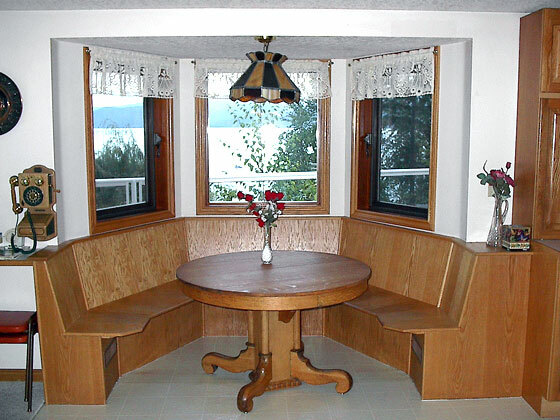 You will enjoy eating at the breakfast nook with the magnificent view that overlooks Okanagan Lake, Vernon and Silver Star Mountain.